The ASPCA And Rachel Ray Announce The Winners Of The 2013 Rachel Ray $100K Challenge! 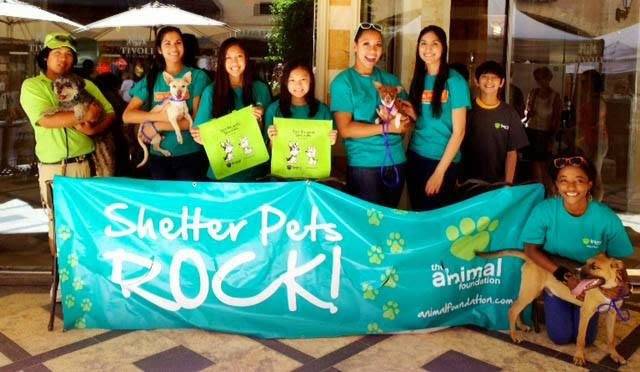 Yes, shelter pets do Rock! Thanks to the incredible generosity of Rachel Ray and the ASPCA, 49 shelters were able to participate in this year's $100K Rachel Ray Challenge-and the results are in! Those 49 participating shelters saved the lives of 56, 379 orphaned animals during the three month of the challenge-an increase of 12,050 lives over the same period last year! Kudos to the hard workers who helped save so many pets by placing them in adoptable homes! Check out the grand prize winner (Hint: It's The Animal Foundation from Las Vegas, Nevada!) along with the other winners, and find out how these folks did such a great job. And don't miss this video tribute to the participating shelters! Labels: adopting shelter pets, ASPCA, Rachel Ray $100K Challenge, saving lives of shelter pets, shelter pets rock! Well done to them....bravo. Have a terrific Tuesday.